This application introduces variable speed technology in hoist machine system and related reform with variable speed drive in Coal Mine. 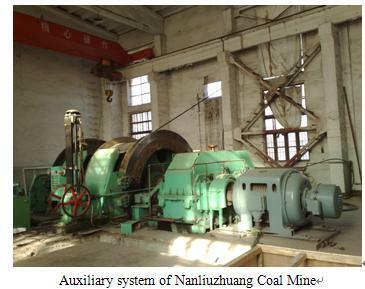 It also explains regenerative energy type variable speed drive in coal mine. 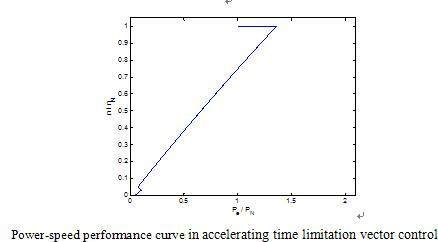 When given "accelerating time" is short enough, motor accelerates as per max torque. 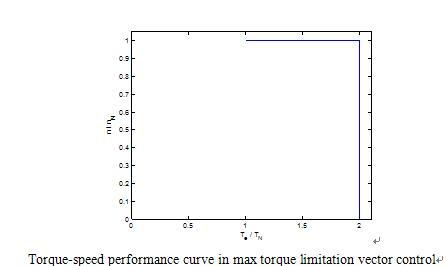 When given "max torque" is 2 times of rated torque, operation curve of motor accelerating in rated load is in following drawing. At the moment, motor is accelerating as per 2 times of rated torque. After accelerating, output torque is actual load torque, namely rated torque. In actual application, Hoist machine usually has a limitation for max acceleration, so "accelerating time" is set according to expected acceleration. There is no need to reach given during accelerating as per above set. 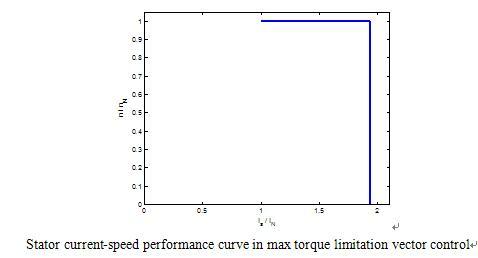 Following figures are accelerating curves of torque, power and current in rated torque. During starting Hoist machine, start variable speed drive first and then release brake. At the moment, most torque is applied to motor. 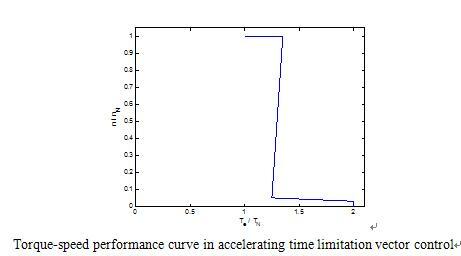 Then motor accelerates according to set accelerating curve. 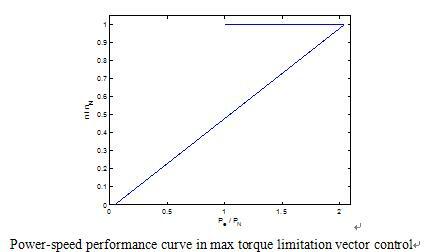 Motor output torque is determined by load and set accelerating time, about 1.3 times of rated torque. Load torque is 1 time of rated torque, accelerating torque is 0.3 times of rated torque. 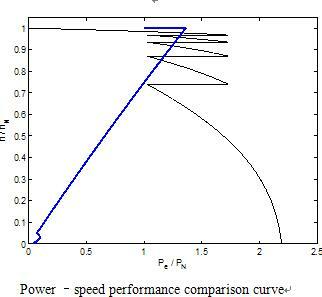 Resistance of physical system and output torque of motor increases with speed rising. After reaching given speed (rated speed), motor stops to accelerate. Motor runs stably with load. Output torque is the same as load torque. Compared with mode of rotor series resistance, in same load, variable speed adjustment has smaller motor torque pulsation, smaller motor current, and smaller absorbing power from grid, which means low degree of aging, stable accelerating and better comfortability. Following is comparison curve. Blue line is variable speed mode (accelerating time limitation mode) , and black line is mode of rotor series resistance(rated current switch control mode). One of the oldest coal mine in China and has history of 130 years. In 2007, a company produced raw coal 29786200t and fancy coal 7548800t. Business income broke through 15 billion yuan. This variable speed reform project is for a main Hoist and an auxiliary Hoist. Lift height is 211m and max speed is 3.27m/s, minimum speed is 0.5m/s. Main motor is 200kW/6kV, auxiliary motor is 280kW/6kV. Reduction ratio of reducer is 30. Original resistance level is 8. 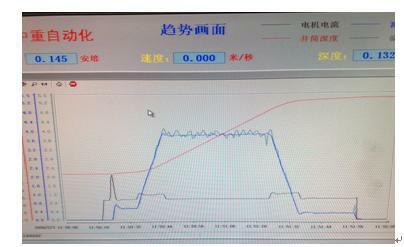 Before reform with variable speed drive, motor vibration was big during starting. 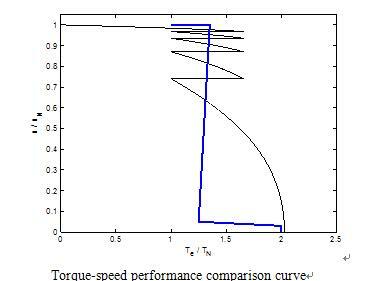 Control performance was not good in low speed stage and accelerating/decelerating stage, with big torque pulsation, bad stability and comfortability. Because of frequent start/stop, resistance loss was great. 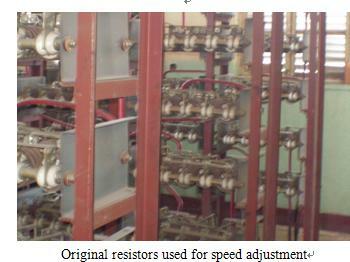 In addition, complicated circuit of rotor series resistance affected production efficiency. There were also disadvantages of big installation space, high heat and big noise for mode of series resistance. Two sets variable speed drives apply in this project, they are 6kV, 35A, 320kW, 400kVA. The variable speed drive adopts IGBT bridge, with regenerative capacity of 100% power. Energy returns to power grid during decelerating brake and applies to other equipments of the plant, which lowers whole power consumption, applicable to four quadrants operation, such as Hoist machine. Vector control variable speed drive makes decoupling control for motor magnetic flux and torque, can realize zero speed 200% torque start-up, frequent quick start/stop, and quick accelerating/decelerating. The variable speed drive makes special design for Hoist machine load, makes its overload capacity 200% for 60s, reaching site requirement. Two Hoist machines reformed with variable speed drive on 20th, January 2009. it pre-operated on 29th, January and run consecutively for 2 months without fault till this paper reported. After reform with variable speed drive, Hoist machines can be controlled smoothly during accelerating and decelerating. Cable swing is down and personnel comfortability is improved. Motor start current and vibration is reduced greatly. Power consumption caused by series resistance can be saved. It also overcomes disadvantages of easy-damage of electrical brush and contactor. variable speed drive lowers fault and accident rate, brings benefits for plant. In addition, problems of series resistance are also solved, such as big installation space, high heat and big noise. The green: motor speed measured by code wheel. 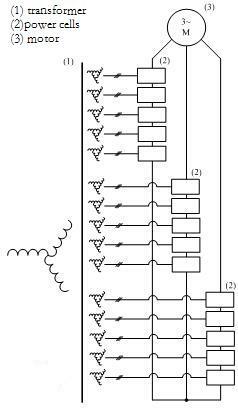 Because code wheel is in low speed side of reducer, there is a big deviation. 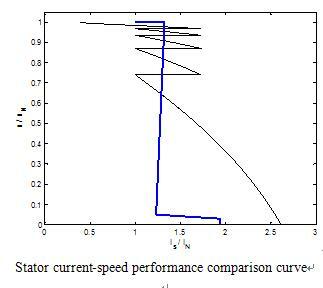 This application analyses operation performance in mode of variable speed drive and series resistance. In the same load, compared with rotor series resistance mode, variable speed drive control mode has small torque pulsation, small current and low power consumption in low speed stage. variable speed drive reduces vibration, wear and tear, with a considerable energy-saving effect. Successful operation performance of two variable speed drives indicates that variable speed drive heightens stability and comfortability, lowers cable swing and start-up current, improves reliability, safety and efficiency.